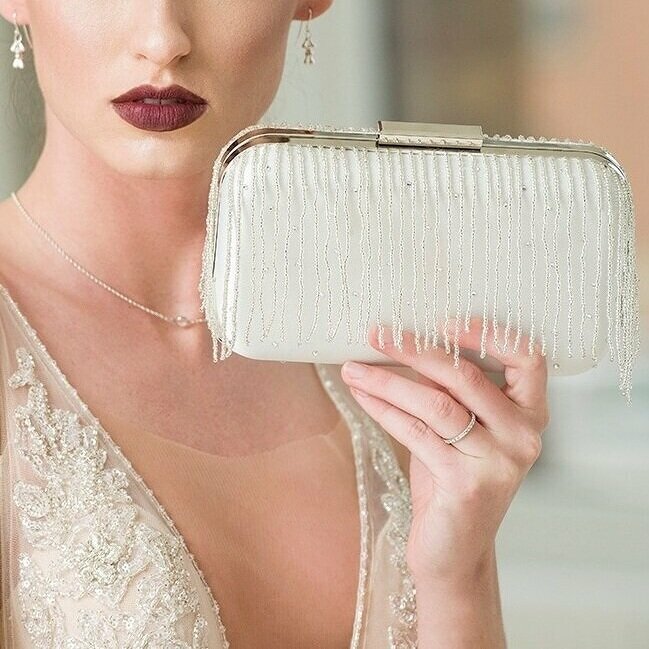 Shake it off in our sassy and modern seed bead fringe clutch, embellished with Swarovski crystals. When the fringe moves you get a splash of sparkle. Available with the fringe on one or both sides of the clutch. The ivory/silver clutch is paired with our Hope earrings and Flo necklace. The black clutch is paired with our Heather earrings.